The sky blue coloured messenger bag is all set to add colour to your college days. It has a wide and long handle for easy Read More..grip. Colourful and tiny elements of design surface on all its sides. 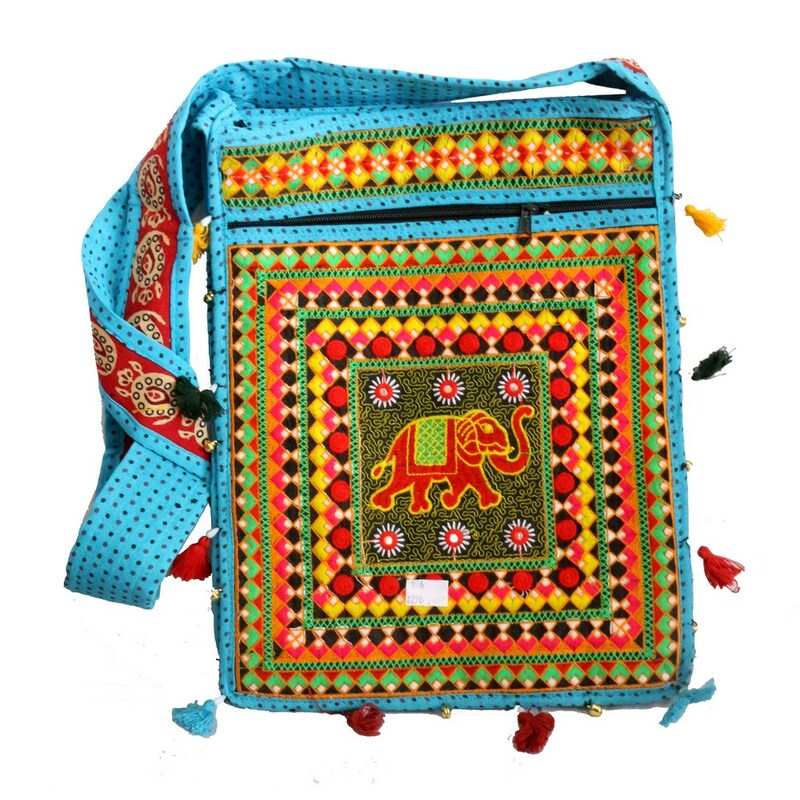 The face of the bag has a squarish pattern filled with vibrant designs and an elephant image. Show Less..